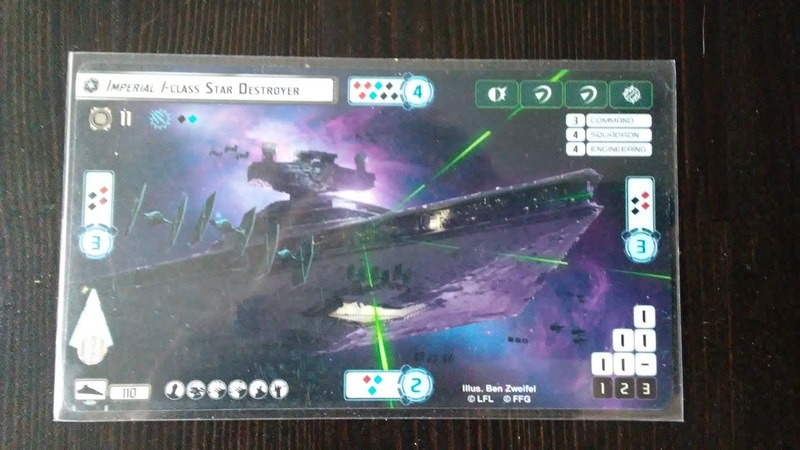 Next in our list of Revised Commander's Guides, I think it is time to look at the Imperial Class Star Destroyer, which just saw the number of variants jump from the typical "two" of literally every other ship, to four different possibilities. And all this from the Chimera expansion pack! Well, might as well dive into the meat. And that is all the ISD you'll be able to fit into a single list anyway. The ISD, it should be noted, is a defensive powerhouse. It has the game best 11 hull, which can be boosted to 14 with Admiral Motti. It's shields are a respectable 4 / 3 / 2, better than any ship besides the MC80 Command / Assault Cruisers. For defense tokens, it sports a respectable spread of one Brace, two Redirects, and a Contain. Though not every variant has it, some have access to defensive retrofits, which allow for even greater defense. 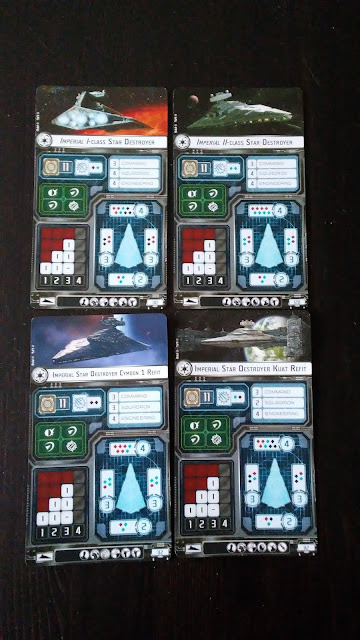 Offensively, it's front arc has the most dice of any non-modified arc in the game, with a respectable 4 dice from the side and 3 from the rear - the colors of said dice being very much determined by the variant you select. In addition, all have access to two weapon upgrades, and a Weapons Team upgrade, to maximize the damage output. It has a very good movement chart for a Large base ship, getting a maximum speed of three, and 1 yaw at each of the final 2 notches at each speed. Without a Support Team though, that is the fastest it will be able to motor, but that still puts it comparable to most other Large base ships, and better than any available Medium combat ship. At this point, the comparison ends, and the Star Destroyers are customized to fill their specific roles in your fleet. The ISDI is the cheapest of the ISD variants, but that isn't saying much as this monster clocks in at 110 points. For these points you get a close quarters brawler, with the dice sporting 3, 2, 3 Front / 2, 2 Side / 1, 2 Rear, as well as 1, 1 for Anti-Squadron battery. Ion Cannon and Turbolaser upgrade slots give this ship an interesting balance for its intended brawler role - no access to Ordnance means it won't be able to really push damage, Turbolasers give it the chance to take XI7 Turbolasers, Heavy Turbolaser Turrets, H9 Turbolasers, or Quad Battery Turrets. 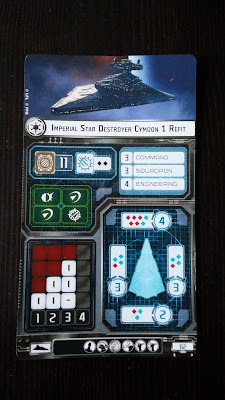 The Squadron value of 4, as well as a pair of Offensive Retrofits, means that this is the ship you want to take if you also want to bring Imperial squadrons up close and personal. It also means that it is the most effective ISD for use of Boarding Troopers - which is based around Squadron Value. Because of the combination of Boarding Troopers and Avenger (exhaust your opponents defense tokens, then they can't use them against your front arc attack) this is the most punishing platform for making that attack happen. The classic "BTvenger", updated for Wave 7. The Avenger title and Boarding Troopers team combine to make one hit during the game truly devastating. With Leading Shots (or Darth Vader as a commander) for rerolls, the Avenger will dish out an average of 7.7 (8.6 with Vader) damage from its front arc in a single, massive attack that defense tokens won't be available to stop. Add another .9 or so if you are driving slower than your opponent with Quad Battery Turrets. That's enough damage on a single hull zone to ace pretty much anything that is already damaged, and definitely enough to reliably end most medium or smaller ships even if they haven't taken any hits already. Hardened Bulkheads allows you to follow that up with a ram for more damage, while Veteran Captain makes sure you always will have the Squadron token available when you need it. Want a different sort of surprise for your opponent? Relentless drops off a TIE Bomber payload on your opponent for 198 points. Relentless and Skilled First Officer help ensure that your Squadron Command is ready to go the turn you need it, while letting you Navigate until you get into position. When you are in place, Expanded Hanger Bay and Rapid Launch Bays combine to let you dump all 5 of your Bombers onto the target. Major Rhymer gives you a little bit of wiggle room on placement - Close Range instead of Range 1 means you are more likely to get all of them on target and not tangled up with enemy squadrons. Captain Jonus and Quad Turbolaser Cannons let you guarantee accuracy results for locking down key defense tokens, and Ordnance Experts are there to reroll the heavy hitting Black dice. In contrast to the ISDI, the ISDII is a Medium Range powerhouse, and flagship extraordinaire. Also boasting 4 Squadron Value, the ship is more comfortable at medium range and typically sees it's only Weapons Team upgrade slot filled by a Gunnery Team - making use of the 8 dice it can throw downfield. It also boasts Ion Cannon and Turbolaser upgrade slots, but its dice aren't as limiting as the ISDI - 4, 4 Front / 2, 2 Side / 1, 2 Rear with 2 anti-squadron - which means you can take Ion Cannon critical effect upgrades. For defense, the ship comes with a natural Defensive Retrofit, which is usually seen guaranteeing the Brace via Electronic Countermeasures, but Reinforced Blast Doors and the new Early Warning System are also options to get the most bang for your buck, depending on what you expect the weak point of your fleet to be. At 120 points though, you are paying for the privilege of taking the most expensive ship in the Imperial fleet. Charge your Superlaser! 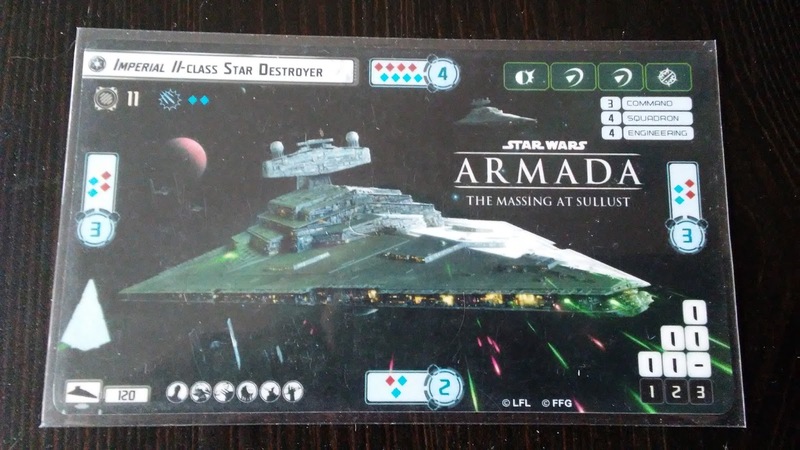 The Devastator title gives your opponent a difficult choice - target the ship and face a ton of dice, or ignore it and let 162 points of terror crash around the board unthreatened. Captain Needa and Turbolaser Reroute Circuits help turn your Red dice scary and set up Devastator's bit hit with token spending, while Heavy Ion Emplacements turn those Blue dice into absolute monsters. Electronic Countermeasures ensure that even if your opponent rolls accuracy results, you still get to burn the best token. Gunnery Team is there to let you follow up from that front arc on a different target. Welcome to your new flagship, Commander! Damage Control Officer, 7th Fleet and Electronic Countermeasures are there to keep you flying, while Leading Shots and XI7 Turbolasers are there to give your shots some heft. With the medium range firepower at your disposal and no good way to hurt your ship, you should be in no real damage as you punish the Rebel scum that dare to threaten the order in the galaxy. The ISDK at first glance seems to just do the role of the ISDI. It does have the same Front Arc dice spread after all. But that is where the comparisons end. With 3, 2, 3 Front / 1, 1, 2 Side / 1, 1, 1 Rear, and 1, 1 for Anti-Squadron, the ISDK certainly looks like a natural choice for the same Avenger / Boarding Trooper combination of the ISD1, but it has a much different upgrade spread. For one thing, it's 2 Squadron Value means it doesn't get quite the same benefit of Boarding Trooper that the ISDI gets. You certainly can, with External Racks and Leading Shots giving it a punch without worrying about Braces, but you can do better, and make the ship a longer lasting threat. Speaking of longer lasting, Defensive Retrofits make this ship a bear to bring down, even as it closes in and smashes into the enemy's face. Enter the Krit-Kuat Bar. It seems like everyone had the same idea the minute they saw what this thing could do, and what Heavy Ions could do. 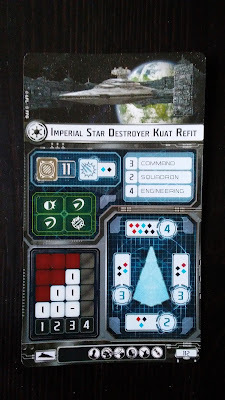 The idea behind the Krit-Kuat is that you get in close, then Concentrate Fire. 2 Blue Dice and 3 Black Dice are rolled out, if there is a critical result, add the Concentrate Fire to the color without a critical result. Use Screed / Vader to ensure you have your Blue and Black critical. Do 5 unbraceable damage to your opponent's shields, then hit them with the balance of your attack. It's like BTvenger, but instead of drilling through a single hull zone, you've crippled the ship's shields, and you don't feel bad doing it to small-base ships! The Cymoon is in an odd place. The VSDII with Disposable Capacitors is a better sniper (once per game). 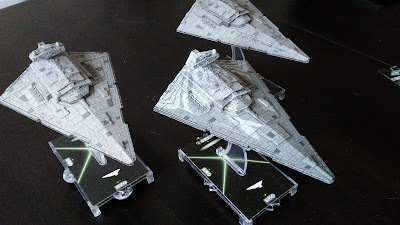 With Squadron 3 and only 7 dice at medium range it isn't as good a dual role carrier / gunship as the ISD2. The niche it fills in the Imperial fleet is as a long range sniper, and fleet support ship. It's offensive prowess is set for long range from the front arc, with 5, 2 Front / 1, 3 Side / 1, 2 Rear and 2 Anti-squadron. Between the 5 long range front dice and double turbolaser upgrades, the ship is set up for standoff engagements, making it best as a trailer ship or long range flanker to the rest of your fleet. Looking at the Turbolaser upgrades, your best bets are probably Spinal Armaments or Quad Battery Turrets for your modification, giving you an extra die at Long Range, and H9 for your second turbolaser, to help give you some accuracy results on your fickle Red dice, and the chance to reach out and touch transports. 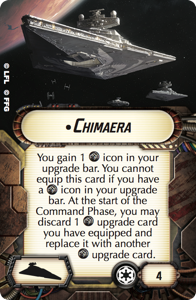 The other really big change this ship adds is the Fleet Command upgrade slot. For the Cymoon especially, Intensify Firepower! is a big upgrade - flipping a blank to a hit is really, really good. Most Imperial fleets won't see much use out of All Fighters Follow Me!, but Entrapment Formation! and Shields to Maximum! are also quality selections for your fleet. The premier trailer / flotilla hunter. This Cymoon lobs 5.4 average damage out of its front arc at long range, can switch 1 of those to an accuracy, and will pop flotilla left and right. Also good for finishing off wounded ships trying to flee the rest of your fleet. It supports your fleet with Intensify Firepower! - how you get those tokens is up to you. Yularen can be added for 7 points, or Grint for just 5, or a Comms Net Flotilla can shadow the ship. This is all the flagship Grand Moff Tarkin needs. 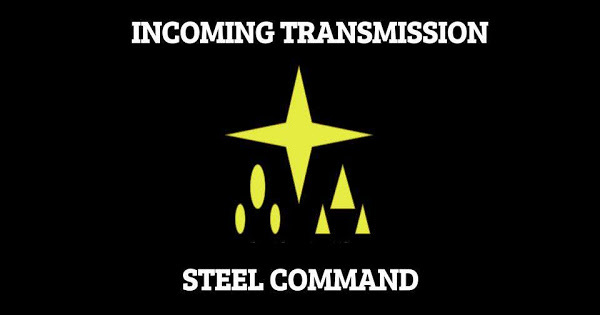 Sovereign, Tarkin, and Fleet Command upgrades all trigger at the exact same time - the start of the ship phase. So you can dictate the order in which they trigger. Have a Concentrate Fire token already banked? 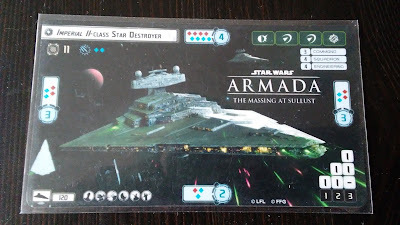 Trigger the fleet command first, then give out your Navigate Tarkin tokens and Sovereign the flagship's Nav into a CF for next turn. Don't have the CF token, but all your other ships need Squadron tokens? Tarkin the Squadron tokens, Sovereign the Squadron to a CF, then Intensify that Firepower! Someone on the other side of the map needs a Squadron token, but you and another of your nearby ships already has one? Sovereign those tokens to CF and Navigate, then give out those Squadron tokens with Tarkin! There are all kinds of stupid tricks you can do to ensure you have exactly the token you need for the job you are going to do. Normally upgrades would go here, but there's too many variants to talk about and too many upgrades to go through, so let's just hit the titles we haven't discussed, and talk Commanders. Well, there's no Commander that doesn't like the ISD in some way. There, we're done with Commanders. The only title we haven't talked about is the Chimera, which is an interesting case to say the least. First off, it can't go on the Cymoon Refit, due to it's "already has a Fleet Command upgrade" restriction. There's also some debate on its use. Pending a FAQ, I think that "replace" means that you have to remove the previously equipped upgrade card from the game in order to put a new one into its slot. This means the old fleet command isn't around to be scored, but instead the new one is. However you rule it though, the big use is that you can customize what fleet command you need at any given time. The best platform for the title is probably the ISDII, being a Medium Range ship as opposed to the closer range ISDI and ISDK. You also need a good way of generating tokens - the right tokens - to maximize the switching upgrades. Tarkin is an obvious but expensive option. Veteran Captain or Hondo gives you a single turn to ensure the correct token. A Comms Net Gozanti is always a good way of filling tokens, but at 25 points is certainly the most expensive option if you're not running a Gozanti in the first place. But, having the right fleet command at the right time is crucial. Probably the best use I can think is having Entrapment Formation! or All Fighters Follow Me! on the approach, switching to Intensify Firepower! as you get into shooting range with your ships, then using Entrapment Formation! during disengagement to accelerate away or make slow tight turns to run down fleeing ships. Well, that's all the time we have for this Commander's Guide. We'll be looking at the Profundity expansion and the MC-75 next time, before we look at the Gauntlet Fighters. How are you getting 5 unbraceable damage? Aren't both Crit effects? Since they are you can only resolve 1 crit effect. Fire Control Team allows you to resolve an additional critical effect.